3 Bedroom Flat For Sale in London for Guide Price £425,000. Guide price 425,000-435,000. 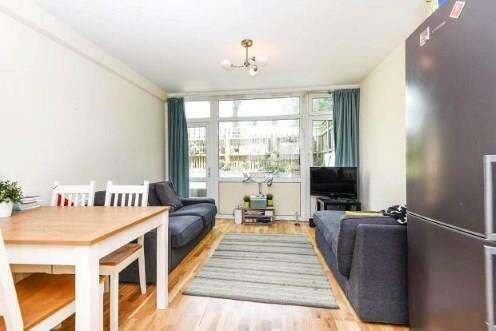 A superb apartment located just a short walk from Clapham Junction. The property benefits from a decent sized open plan kitchen reception room, three double bedrooms, two bathrooms a private rear garden offering the ideal summer retreat. Holliday Square is ideally situated close to a great range of shops, bars and restaurants in Clapham Junction and Battersea, and is within easy reach of the green open spaces of Clapham Common and Battersea Park. Clapham Junction Station (National Rail) is just moments away and provides easy access in and out of London.